What the hell is happening... you must be thinking that, assuming you have a few brain cells left. It's highly probable they've now faded away too, which is the purpose of this web site. Your unfortunate lack of critical thinking skills leaves you without the ability to see the unseeable. You watch, but you fail to see. Fear not my weak minded friend - whether your being chemtrailed, stalked, body/mind controlled or harassed, this web site connects the final high level dots that you simply cannot figure out for yourself. In 1999 the world changed. The money trust changed, the law, technology, and the general direction of the planet. In order to even remotely grasp what is happening you must disconnect your mind from the last century's way of thinking. Failure to change the way you think will preclude you from seeing reality accurately. There is no money anymore, taxes are a thing of the past. So what we now have is a real brave new world. The purpose of this document is to simply show how they control everyone on demand, as well as end the confusion around the subject of chemtrails and how they fit into the larger picture while showing how the media and movies are conditioning the mind of the general public. This is my account of the entire last decade. I'm sure I'm missing something here or there, but this is 95% accurate I think. Let's just get right too it. Forget everything you know. Here it is, the epitome of reality. This video is the best example that summarizes what's happening or has happened in your body already. This is the most prevalent secret in the whole world because it has been forced onto everyone unknowingly. What you see here above is a nano-bot encapsulating a neuron or synapse (for example your purkinje neurons) or other nerve ending/bridge. It's only a simulation, but accurately summaries everything that has happened in the past decade. This allows complete control of the host (your body) remotely as demonstrated repeatedly in the movies. A more sophisticated set of nano-bots would subsequently allow for a complete and full BioAPI to be installed without the host (you) even knowing it. The basic idea consists of a set of nano-wires tethered to electronics in the main catheter such that they will spread out in a "bouquet" arrangement into a particular portion of the brain's vascular system. Such arrangement could support a very large number of probes (in the millions). Each n-wire would be used to record, very securely, electrical activity of a single or small group of neurons without invading the brain parenchyma. Obviously, the advantage of such system is that it would not interfere with either the blood flow exchange of gases or produce any type of disruption of brain activity, due to the tiny space occupied in the vascular bed. Larger than the Hoover Dam, Trans-Alaska pipeline or moon landing. It's larger. And expensive. The biggest mistake one can make is assuming there is only one reason for chemtrails. There are about five or six reasons and possibly more. This is the standard reason given to idiots in the government. We need to secretly stop global warming, so keep it a secret that we're spraying. Global warming is the catch all con for everyone in the government. If you're smarter than this they'll give you a better reason. A reduction in sun light across the planet works well to decrease crop yields slightly. This is part of the requirement to engineer a food crisis and bring in a famine. This is tied in with the disappearing bees too but this site does not get into that. In order to create earthquakes and steer hurricanes (for example hurricane Katrina in New Orleans) the atmosphere needs to be more conductive for electricity so installations such as HAARP can work their magic. So the chemtrails spray barium and aluminum among other things to create a more conductive upper atmosphere. As a side effect everyone's health and immune systems become more compromised. This is usually not an issue for most healthy people. Older people on average will now die sooner and any health complication is slightly more likely to be fatal. This is both a side effect of spraying and intentional. Anything to increase the kill rate without raising many alarm bells. To help or hurt crops, keep skies clear for a major event (like the Olympics), cause a typhoon, etc. To universally install a BioAPI in everyone they need to spray nano-fibers. These fibers cannot be put into the food supply or given in some other way, the uptake across the population would take forever and not propagate very efficiently. It's much easily just to spray everyone like an insect; and because it's happening to everyone and universal the herd mentality of the unwashed masses then justifies it. Nano-fibers specifically are a transport mechanism. Nothing more. They hold a payload for delivery. A payload that would otherwise be compromised by the sun or atmosphere or not make it to its destination (your body). Such as a virus, RNA, aluminum, nano-components, etc. The fibers are (surprisingly) quite harmless as everyone has them. Examples of these fibers can be found all over the internet or in the physical examples section. The fibers must be independently sprayed, if they we're added to the jet fuel the extreme heat would destroy the payload. There are essentially two phases involved with the installation of the BioAPI. I categorize it as phase 1 and phase 2. If you can imagine a new laptop computer, all it has is the operating system like Windows, so it's kind of useless. This would be the equivalent to phase 1. So a new computer can be remotely controlled (aka phase 1) by your IT tech support guy, but that is all. There's no programs installed (provided by phase 2) to do anything else with it. Everyone on the planet is effected and involved in this phase. Everyone to some extent has the nano-fibers within their body cavity, and therefore wired. Side effects include a clicking sound from within the skull and basic annoying body complications like aching joints. This phase actually provides complete remote control of your speech and thought patterns through suggestion (subconsciously). I guess about 90% of the populace has this phase complete. This phase must be triggered and is extreme. It completely compromises your health and can do anything from kill you to simply monitor you. This phase cannot be forced onto you like phase 1 (technically it can but they don't do that yet). This involves multiple nano-sensors from ocular to heart and everything in between. I figure about 2% of the population has gone through this phase. If this phase is triggered in you they consider you evil as shown within the media examples page. You must do something to trigger this phase, including eating cheap red meat, kissing specific people, using specific corporate health care/beauty products, etc. The objective they are reaching for here is to connect each event with a deadly sin of some sort. For example morgellons would be connected with vanity because your skin goes to hell. Ultimately this phase provides complete remote control of your body and mind, including the monitoring of your emotions, thoughts, body functions and everything in between. Of course with something as extreme as nanotech being installed within people's body's you would assume there would be health implications and side effects. This is correct and covered on this section. The approach to handle these side effects has been one of "embrace and extend" it's called. There are several examples in the media section that show how the specific side effects listed below are recognized and then associated with something ridiculous or stupid which then discounts the authenticity in the mind of the viewer. In effect convincing the viewer to dismiss a real side effect as being something that's too crazy to be real. Each side effect is dealt with in a media example. Additional technical possibilities are also talked about in BioAPI section. A phase 1 side effect goes back as early as 2001. Exactly what is happening is not completely known but involves some sort of nano-chip being installed/operated in the cranium (your head) of the host. This is probably the equivalent of a CPU of some sort. The actual clicking/screeching sound observed is usually at night on average once a month and only lasts for a few seconds. Completely painless and easily ignored or passed off by the person. Phase 1 & 2 - Aching Joints, Headaches, Fatigue, etc. The saturation of nano-fibers has different effects on different people. The sheer numbers involved results is a random combination of health implications. Most people will not notice anything, or pass any slight symptom off as getting older. Other people who have more of a reaction will go to the doctor and get diagnosed with fibromyalgia. Fibromyalgia is a catch all disease that was created about a decade ago to give doctors something to tell the patient when they complained. The doctors can't accurate diagnose or understand what or why a patient is feeling a certain way, so the corrupt medical establishment gives them this nonsense to spew. These side effects are primarily phase 1 but are a constant problem across the board. Often a specific part of the person's body (for example the left elbow) will become constantly itchy much more than the rest of the body permanently. This is intentional and is a sign to others that they have phase 2. This is reflected quite clearly in this media example. Phase 2 encapsulates the person's ability to smell to they can read/write scents to the person. I have no idea why they want to know what you're smelling. When inhaling or specifically exhaling quickly its often a burning/smoke smell that is noticed. It's unknown why, this must be an unwanted side effect. Or more accurately to encapsulate any neuron in the body involved in sensing (for example, smell, taste, etc.) there obviously must be some minor side effect. Interestingly when I cry the smell is amplified and it smells like buttered popcorn of all things. An example of how the media discounts this is demonstrated in the movie Bandits (2001). One of the high level concepts they push in the movies is the left eye is evil for some insane reason. In phase 2 an actual nano-camera will be installed in the left eye. People with this might comment on how they feel like there's a small bump in their eye under slightly drier conditions such as when going to sleep at night. This is documented in the physical example page. Note if you figure out you have a camera in the left eye they will probably install something in the right eye too. Some people will comment on a metallic taste in the mouth. Typically when going to sleep it becomes prevalent. This is mostly a direct response to be monitored. The more they monitor you or your BioAPI the more of a metallic taste you'll receive. It is not a side effect of medication, that's the typical response a doctor will give you. If you are not on medication and otherwise completely healthy and all of a sudden have a permanent metallic taste in your mouth, you are being monitored 24/7. Morgellon's can strike anyone. 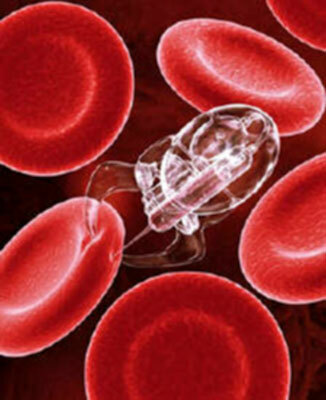 Its a problem with the nano-bots and fibers, whether intentional or accidental. The body's immune system can't see or recognize the fibers at all. So when the body can't accept the fibers anymore it beings to push them out through the skin. But the skin is a barrier because the fibers are too large. So the skin breaks up which is why people get lesions. Note that technically everyone has morgellons (nano-fibers), the actual mogellon's symptoms are when the person's body tries to get rid of them the only way possible. Ultimately you need some proof. This is very difficult, as we all don't exactly have nano-tech labs in our basements. The only thing possible at this point in time is to put out the physical evidence that is known and back it up with media/movie supporting clips. A complete list of unbelievable things this technology can do is listed here, also make sure you see the real life body & mind control examples in Media References.